This program is organized by Duke Faculty/Staff from the Innovation & Entrepreneurship Initiative in collaboration with DukeEngage. Assisting innovative social enterprises that are tackling the Motor City’s most pressing social, environmental, and economic problems to achieve increased effectiveness, sustainability, and scale of impact. The DukeEngage Detroit program will immerse emerging young Duke change-makers with non profits and social entrepreneurs tackling some of the city’s greatest challenges in a variety of domains, including economic development, social enterprise, food security, environmental sustainability, and health. 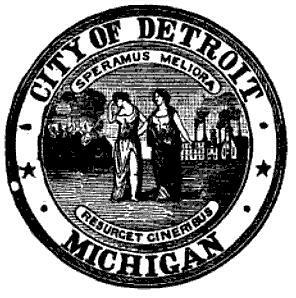 For decades an engine of the country’s economic development, Detroit was a beacon of hope for men and women who streamed into Michigan from around the world seeking an opportunity to pursue the American Dream. A thriving industrial hub through most of the 20th Century, the Motor City abounded with jobs in automobile and defense manufacturing and associated supply chains. The second half of the 20th Century saw Detroit slide into the economic decline that has left the region reeling to this day. Barely 700,000 residents remain within the municipal boundaries of Detroit. Nearly 45,000 housing units—one-fourth of the city’s housing—have been abandoned, and 100,000 vacant lots form a patchwork of urban decay in distressed neighborhoods citywide. Detroit’s unemployment rate of 18% is more than twice the national rate; when adjusted to account for individuals who are no longer seeking jobs, the rate soars to about 50%. With median household income of approximately $28,000, nearly a third of Detroit residents live in poverty, more than double the national rate. Despite this painful decline, punctuated by the city’s recent decision to declare bankruptcy, a new hope for economic development and revitalization has emerged. Viewing necessity as the mother of invention, local entrepreneurs and change-makers are rolling up their sleeves to tackle the city’s challenges with creativity and determination. Across the city, incubators, accelerators, and other enabling organizations are sprouting up to support these entrepreneurs and to harness social and venture capital. Social enterprises, community development corporations, and other nonprofits are harnessing principles of enterprise to address poverty and its effects in new and promising ways. Detroit has become a seedbed of entrepreneurial leadership and social innovation aiming to rebuild the city. It is in this thriving laboratory of economic development and social change that we have established a new DukeEngage program site focused on social innovation and social entrepreneurship. The DukeEngage Detroit program offers discrete, deeply immersive civic engagement experiences on challenging projects to support community-based strategies to develop and scale innovative, high-impact social enterprises in the areas of economic development, environmental sustainability, health innovation, as well as with intermediary organizations supporting these types of organizations. Pairs of students work with a community partner to define, design and implement a project important to the community partner and beneficial to the Detroit community. Student teams are challenged to create significant results for their community partners - results that the students will view as a signature accomplishment when they graduate from Duke. Students are actively supervised and coached by the program leaders and the site coordinator. One important program priority is the development of the student cohort as a supportive, helpful, engaged community. Placements are also supplemented by a professional development and enrichment program that will introduce students to the basic concepts and tools of social entrepreneurship; introduce students to the culture, history, and economics of Detroit; and foster reflection on their learning throughout the summer and beyond through weekly gatherings facilitated by the site coordinator. •	Strengthened ethical fiber, moral courage, and self-efficacy. In sum, through the DukeEngage program in Detroit, aims to support the development of change-making leaders with a clear sense of self, empathy, a willingness and ability to collaborate, an action orientation, a drive to continuously improve, and a deep sense of accountability for their actions in the world. •	Progress on strategic projects leading to improved effectiveness and increased impact in the community. •	An established base for future DukeEngage Detroit programs. • Relationships between Duke and Detroit will be strengthened, potentially leading to additional programming and/or research on social innovation and social entrepreneurship in the Motor City.